YouTube Downloader + YouTube Video Converter + Local Video Converter. Download FLV/F4V online videos from YouTube, MySpace, Dailymotion, MTV, etc. Download and convert YouTube videos simultaneously. Make downloaded YouTube videos playable on the new iPad 3, Xoom, Galaxy Tab, Asus Transformer, Kindle Fire, PS Vita, etc. Convert local video files to MKV, MP4, VOB, MOV, AVI, WMV and more. Support UPnP connectivity for UPnP compatible devices. Converting WMV, AVI, TiVo, MKV, AVCHD files to H.264, MKV, MP4, etc. Your complete Blu-ray/DVD/Video solution for home entertainment . 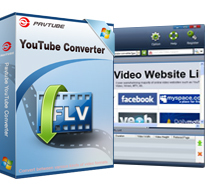 Pavtube YouTube Converter is an extremely easy-to-use downloader and converter program that can download and convert FLV/F4V videos from different online video websites, including but not limited to YouTube, Myspace, Yahoo Video, Google Video, MTV, Dailymotio, etc. with unrivalled speed and quality. With this YouTube downloader and converter software, you can easily convert any online FLV/F4V files to your wanted file formats like MP4, MKV, FLV, VOB, WMV, 3GP, AVI, MOV, MPG, MKA, WAV, AC3, MP3, etc. More than downloading and converting online videos, the local videos stored on your computer's HDD are also supported. You can convert local videos for playback on various tablets, smartphones, media players and game consoles, such as iPad 3, Asus Eee Pad Transformer, the new ATV 3, Xoom, Kindle Fire, Acer Iconia, Galaxy Tab 7.7/10.1, WD TV media player, PS Vita, PS3, Xbox 360 and more. This YouTube converter is extremely easy to handle, only three clicks you can successfully download and convert the YouTube video files with fast speed and good quality. 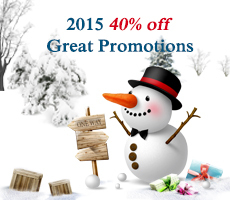 This special function will automatically parse and grab the valid URL of the FLV/F4V video from YouTube.com, Google.com, Yahoo.com, Myspace.com, etc. when the video is playing. This YouTube Converter software is able to download and convert videos from YouTube, MySpace, MTV, Vimeo, CNN, MSN, Google Video, Dailymotion, etc. simutaneously for viewing on various tablets, smartphones, HD Media Players, and game consoles. This program allows you to download and convert multiple YouTube videos in batches at a time. There are numerous output choices available, including MP4, H.264, Xvid, DivX, AVI, WMV, MKV, VOB, 3GP, TS, M4V, etc. This YouTube downloader and converter program comes with a wide range of format presets for popular devices, including the new iPad 3, Apple TV 3, iPhone 4s, Asus Transformer, Xoom, and more. If you could not find the preset you want, you can go to our profile patches page to download what you need. MP4 (supported by iPod, iPhone, the new iPad 3, PSP, PS Vita, Apple TV 3, PlayBook, Asus Transformer, Kindle Fire, etc. ), 3GP (supported by 3G mobile phones), 3G2, FLV (suitable for online transfer), SWF, AVI, MPG, MOV, VOB, DV, ASF, VC-1, MKV, M4V. WMV, and mroe. - Fixed the downloading error with some videos from YouTube. - Fixed crash issue that occurs in the process of video conversion. - Fixed crash issue that occurs in the process of video conversi- Fixed crash issue that occurs in the process of video conversion. - Changed the skin of user interface. - Workaround for download flash videos from TRMP. - Refined the playback quality for inlaid player. - Added support for deleting file that is currently in playing, downloading or waiting status. - More stable than previous version.